Sometimes it's not the best idea to take on a movie without reading the script. Michael Caine learned this the hard way when he secured a role in 1978's The Swarm. The actor recently reflected on his long career in a new interview and revealed that he and the rest of the cast of The Swarm were pooped on by bees while filming. In the end, the movie was torn apart by critics, who at the time called it disappointing. When asked if he could go back in time and tell his younger self not to do a movie, Michael Caine immediately said The Swarm, and admitted that he said yes to the project because of the actors involved. Henry Fonda, Olivia de Havilland, and Jose Ferrer also star in the movie, which is about killer bees. However, things were less than great on the set. Caine explains. "One day we were all having a conversation with live bees above us, and suddenly we noticed all these little black dots on our shirts. The bees were sh*tting on us. And so the first review was in, but we didn't know it at the time." 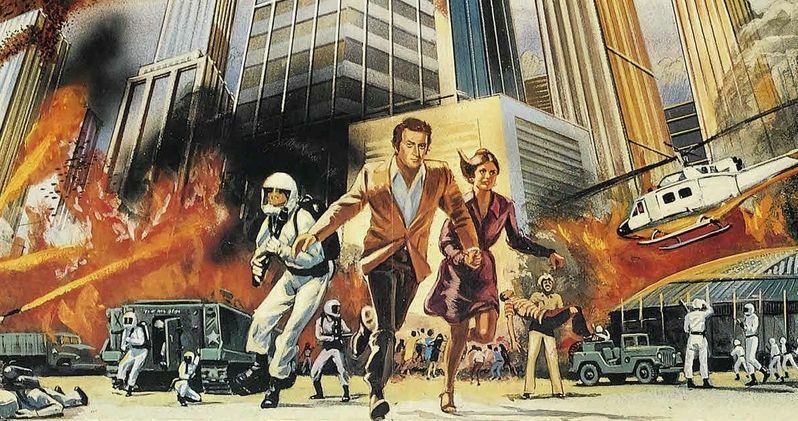 The Swarm has been named one of the 100 Most Enjoyably Bad Movies Ever Made by Golden Raspberry Award founder John J.B. Wilson. While the movie itself gets defecated on by critics, it has also been called one of the ultimate B Movies about killer bees. As with most things, given enough time, different art can gain a cult audience, which is certainly the case for The Swarm, though many people only watch it because it's so bad. Elsewhere in the new interview, Michael Caine doesn't have a lot that he regrets, only some pretty good stories about hanging out with the Beatles and the Rolling Stones in the 1960s. When asked about drug use, 85-year old Caine admitted to trying marijuana once, and said that he couldn't stop laughing for five hours. That was the only time he felt he needed to experiment. John Wayne once told him to never wear suede shoes due to accidents in the restroom. So, Caine has never worn them and decided to give all of his suede shoes away. As for the reasoning behind taking on movie roles these days, Michael Caine reveals that it has to be in a location that he wants to go to and the production can't take too long. Next, the money has to be good, and the final stipulation is that it has to be a good script. Whatever the case may be, it's definitely working out for the veteran Academy Award winning actor, who has been acting for over 50 years and appeared in over 170 movies. Just remember to stay away from swarms of bees when they're over your head and thank Michael Caine for that advice. You can read the rest of the lengthy interview with Caine over at Rolling Stone.